Befriend Everyone Part II | Y'all Behave! 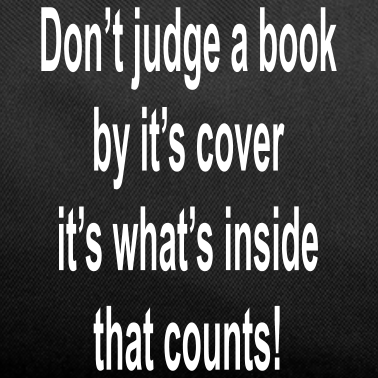 Just as one should never bully, or pick on others, another lesson I try to impart is to never judge a book by its cover. Sometimes, people can react to others solely on a superficial basis, it’s human nature to make snap judgments. Luckily Austin kiddos are exposed to a wide variety of people considering our city is the weirdest city in the world, and are therefore much more open to everyone. The kiddos I nanny are not so easily shocked or put off by someone who is seemingly “different”, here in Austin being weird is a valuable commodity. For me, growing up in Corpus Christi, and having up until my sophomore year of high school attended private school with the same classmates year after year, public school was an adjustment, one that I was eager but probably not quite prepared for. I took a non-Honors Spanish class and the kids in it were, shall we say, “less wholesome?” than my peers in AP. Around school they were referred to as the “ghetto kids”, and rumored to be involved with gangs, drugs, not great stuff. I was nervous going into my classroom the first few days, but I smiled at everyone, introduced myself, and decided that these were potential new friends. (*Supernanny Disclaimer*: Now, I’m not saying I want the kiddos to seek out a less wholesome crowd, to be sure, this is an experience unique to me that taught me something I hope to teach the kiddos. That being said, I’m glad I gave this group a fair shake, and I hope that the kiddos won’t dismiss certain people based on rumors or stereotypes.) That year I had experienced a fair –or unfair rather– amount of bullying at my new school from a few individuals there, one in particular, only made worse by the rumors preceding me, circulated by my then boyfriend, still at my old school. Not fun. At certain points it got so bad I resorted to spending anytime not in class in the girls’ bathroom, lunch included. Mean Girls. Funny movie, great moral! After a particularly rough day of hearing the latest false rumor spread about me, and having been called a name down the hallway by a girl who had made an extracurricular activity out of tormenting me, I walked into Spanish class, rushed straight to the back of the room, sat down, and started quietly sobbing. It was then that my so-called rude, crude, and tattooed classmates shocked me by immediately coming to my aid. They asked, “What’s the matter, Kat?” (They had taken to calling me this as they thought I looked like Julia Stiles’ character in 10 Things I Hate About You.) I broke down and told them everything: how my boyfriend from my old school was spreading rumors about me that were ruining my reputation at this one, and that I was being picked on by some mean girls, one in particular. Immediately one girl asked, “Do you want me to cut her for you?”, one of the guys offered to plant drugs in her locker. Now as unconventional (and in this case criminal) as their offers to help were, their intentions were good, and isn’t it the thought that counts? Sniffing, and looking up gratefully, I replied, “No, thank you, y’all are so sweet but don’t hurt her or get anyone arrested. I really need to handle this on my own.” They respected my wishes not to add foul play to the mix, but let me know the offer was on the table. It is here that I put into practice another bit of life action I hope the kiddos will as well, forgiving others. Having my scrappy Spanish classmates shank the bully wouldn’t solve my problems. I needed to stop giving her the power by not letting her bother me. She certainly wasn’t sitting in a classroom worrying about the rumors she spread, or fretting about the names she’d called me. I am still flabbergasted at the amount of bullying that goes on even in adulthood, and what was true then is still accurate now; to get rid of a bully you have to stop giving them the power of you caring. You have to realize that which alludes one when caught up in the hurt and surprise of being bullied in the first place: they have no power over you (Any Labyrinth fans will looove this link!). I left my Spanish class feeling oddly better about my situation, thanks to my unlikely support system. If a few strangers who had seemingly little to nothing in common with me could take time out from their days to offer help, could more pals, and not being a social pariah be in my future? As it turns out, by my senior year I knew practically everyone in my class, and was friendly with all, including those Spanish class class acts( I’m still appreciative to those kids who, when it counted, showed more sympathy, compassion, and friendship than the more “educated” crowd.) 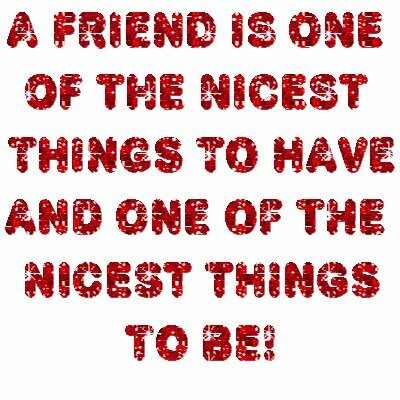 because I learned a valuable lesson, given the chance everyone is a friend waiting to happen.